WE ARE BRINGING LITTLE MISS PERFECT TO YOU! Educational and Community Screening License to show the film with repeat viewings. Access to digital customizable promotional materials (including postcards and posters) to promote your event in your community. Price applies to universities, colleges, hospitals, corporations, museums, government agencies, the armed services, and includes public performance rights for classroom, organizational or library use by the acquiring institution for non-paying audiences only. Little Miss Perfect opens on a sunny fall day at a prep school. Protagonist Belle bursts into a smile when she discovers she has been elected freshman class president. But in the next scene, her eyes flicker with shame when she receives a B+ on her English essay—a blow to the perfectionist expectations to which she holds herself. As the movie unfolds, it becomes apparent that much trouble brews beneath Belle’s bubbly countenance. Her mother has abandoned the family, which her father copes with by diving into work and neglecting his daughter. Belle responds to the pain of familial disconnection and academic pressure by honing in on the only thing she feels she can control in her chaotic world: her weight. 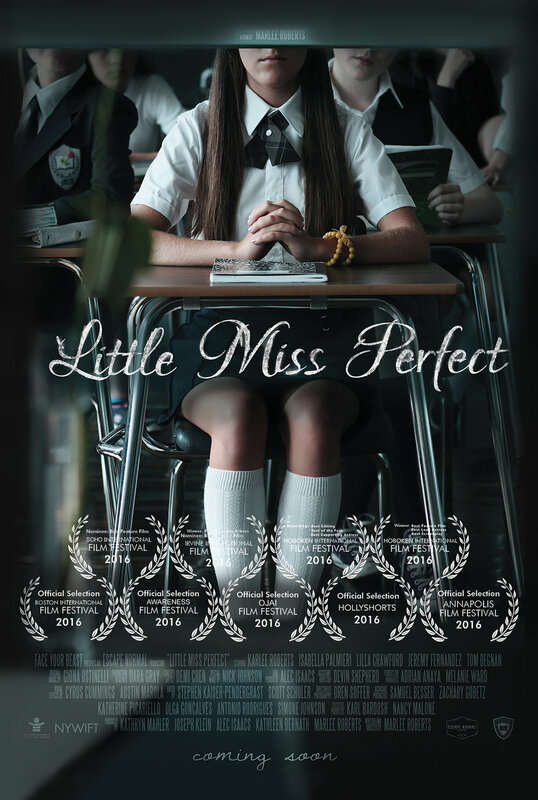 Little Miss Perfect takes place over the course of Belle’s freshman year, tracking her descent into the grips of anorexia nervosa, the psychiatric disorder that currently holds the highest mortality rate. The movie unpacks struggles with control, self-worth, and perfectionism that afflict so many young adults in America today. It also highlights cyber-bullying and the danger of being misinformed or misguided by information on the internet. While ostensibly Belle’s story, the film is impactful in the way it addresses both the struggles of Belle and the powerlessness felt by the people who love and care about her. Little Miss Perfect depicts how Belle's peers, family and authority figures are affected by her struggler, making it a must-see for caregivers, counselors, loved ones and others who are close to someone with grappling with academic pressure, social exclusion, body image and family disconnection.